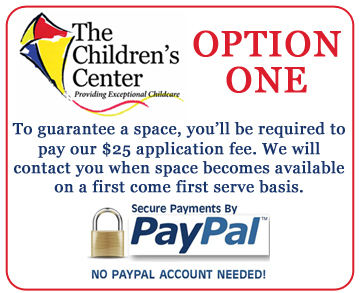 OPTION ONE: To guarantee your child a space, please choose OPTION ONE and pay the wait list fee of $25. We will contact you when one becomes available on a first come, first served basis. 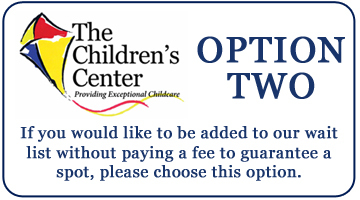 OPTION TWO: If you do not wish to pay the $25 fee at this time, but still would like to complete our enrollment application, please choose OPTION TWO. 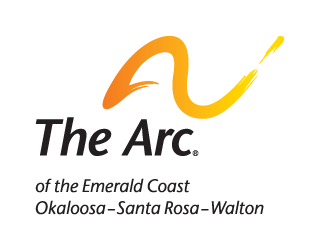 This application will be active for one year from the date of receipt by The Children’s Center. Waiting list applications will be processed by the date received. Siblings of children currently enrolled will be placed at the top of the waiting list for the appropriate age group. Calls (notification of an opening) are made on a space available basis. It is the applicant’s responsibility to inform The Children’s Center of changes regarding waiting list information (if we are unable to contact the person through the given information the application will automatically be voided).